At Harvey's House Painting, our residential painting crew is dedicated to providing quality interior and exterior house painting and friendly professional service at a competitive price. Whether you need an entire home painted inside or out, or just a simple project like a bedroom or accent wall, we are happy to talk to you about your project. Below we have summarized our residential painting services. If you do not see what you are looking for, just let us know, we will be happy to assist you. 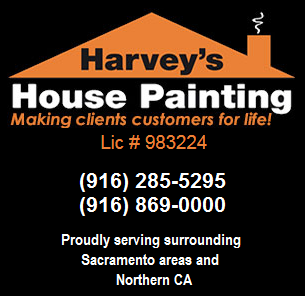 Harvey's House Painting has proudly painted homes, condominiums, and commercial properties throughout Placer County, Sacramento County, El Dorado County and Yolo County in Northern California for many years. We employ skilled painters who are committed to excellence. Most of our work comes from repeat customers and word of mouth referrals. 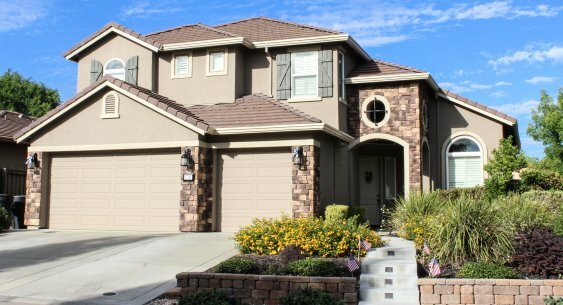 Let us help you plan and execute your residential painting project with confidence. We are confident that you, too, will be satisfied with the quality of our work, the durability of our finish, and the lasting beauty of your home.